1.1 This website is published by KPRM ltd t/a Martin Bruno. The following statements apply to this website. 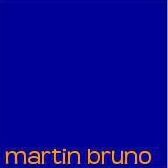 7.3 We may need to pass your details to another company outside of KPRM ltd t/a Martin Bruno purely to transact your requests effectively. However, your data will not be passed outside of KPRM ltd t/a Martin Bruno for any other purpose.